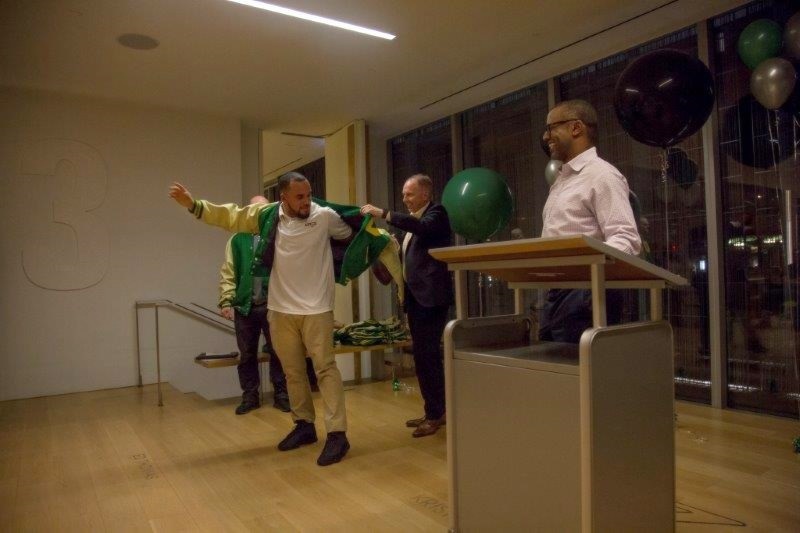 The University of Oregon recently had a letter jacket ceremony for their first-time fall sport letterwinners. It was a special night for these athletes when they were presented with their jackets by Athletics Director Rob Mullens and Head Football Coach Willie Taggart. We are so grateful for our continued friendship and service to the University of Oregon athletic department. With our focus on producing excellence in every stitch, prompt delivery, and service beyond measure, we are honored to be a part of this special tradition.